Looking for the perfect blend of classic style and modern design to keep you in style season after season? 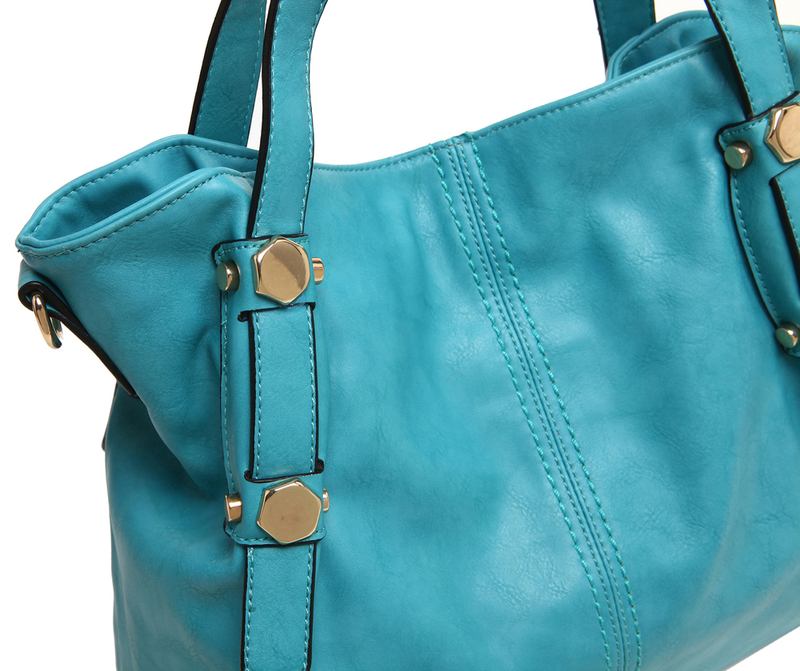 This gorgeous office tote is just what you need, thanks to the always-stylish leatherette exterior, the glamorous gold-tone hardware, and the modern hobo bag shape. Together, these fabulous design elements will keep you looking both timeless and fabulously on-trend, no matter the occasion or the season. 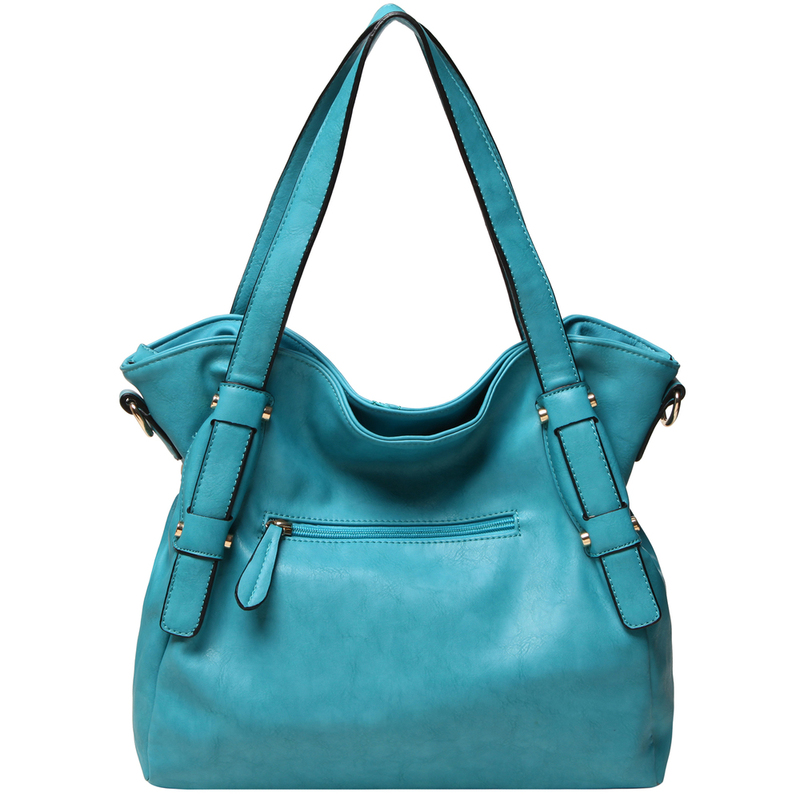 Inside, this top handle handbag’s roomy and fabric-lined interior features plenty of room for your daily essentials, plus 2 slip pockets and 1 zippered pocket to help keep your belongings organized. 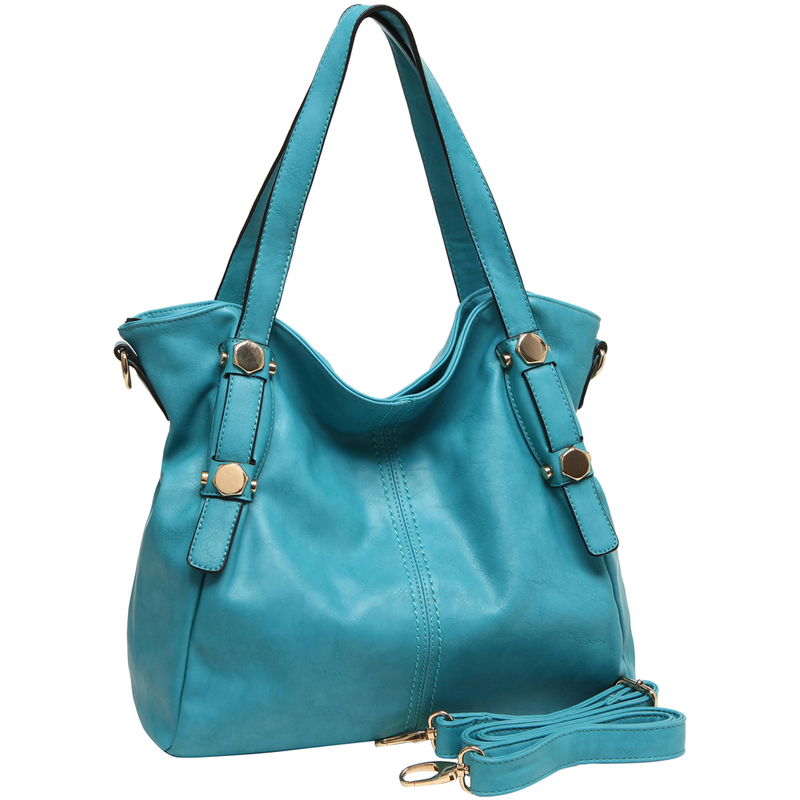 Another zippered pocket on the back exterior of this shoulder bag is perfect for items you want to get to quickly, and you can keep this women’s handbag conveniently close at hand throughout the day and night using the 2 top handles and the adjustable and removable shoulder strap.